The perimeter dimensional family is 1000 X 1200 is an Industry Dimension. For large quantities (full truck for example), we specifically manufacture your order in Wood Pallet 1000X1200 4 entries - Very Light. 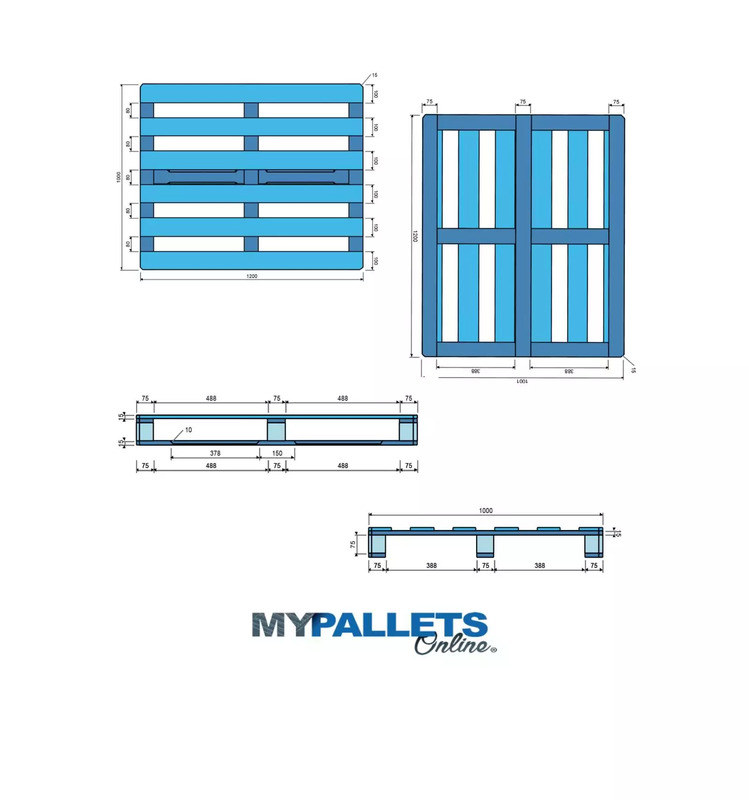 Outer dimensions of the pallet are 1200 mm long, 1000 mm wide and 120 mm high. Wood Pallet weighs less than 20 kg, it resists a dynamic load of 100 kg and static load of 400 kg. The total theoretical wood volume of the pallet is 22,0218dm3. The 1000X1200 (mm) Wooden pallet - 4 way entry is subject to the ISPM15 Standard regulation for the heat treatment of wood packaging. 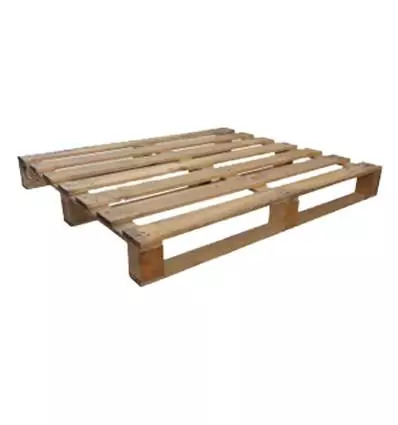 Wooden Pallet 100X120, dos not require any particular storage conditions. You can store indoors or outdoors. Wooden Pallets are produced according to strict quality criteria using sections of softwood (pine, fir, Douglas fir, etc.). For any request, please indicate our reference[PB10001200120-4-3S-UL].